Axis Business Park is strategically located in the centre of Petaling Jaya's Section 13 industrial area. 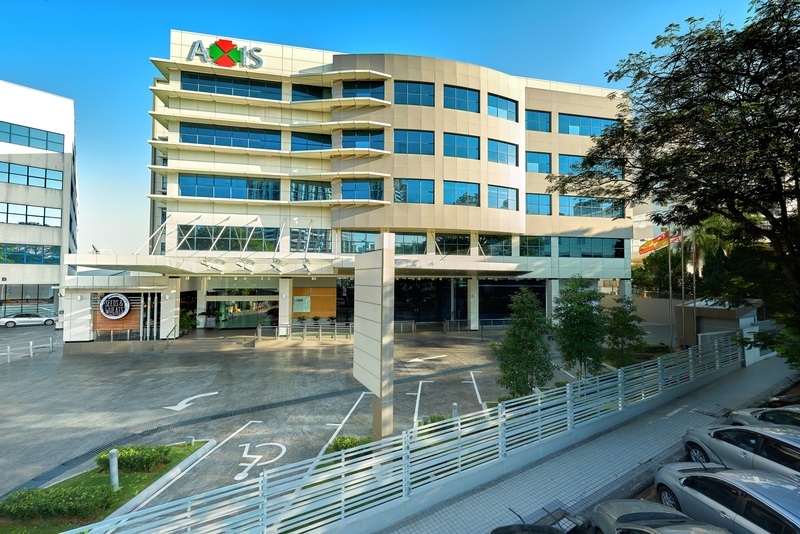 Axis Business Park is predominantly surrounded by industrial premises and purpose built office/industrial buildings. Some of the notable office buildings in the vicinity include Colgate Palmolive, Strateq Data Centre, Panasonic, Dutch Lady Milk Industries, Mulpha International and DKSH Holdings (Malaysia) Berhad. Axis Business Park features a unique combination of office and warehousing/distribution centres in the heart of Petaling Jaya. Its design has attracted companies in the marketing, distribution and service industries such as Fuji Xerox, Hitachi eBworx and Alcon Laboratories to locate within the complex. Axis Business Park is accessible from Kuala Lumpur City Centre via the Federal Highway, LDP or Lebuhraya SPRINT with alternative roads through Jalan Damansara, Jalan Dato Abu Bakar and Jalan 21/18. PN 12419, PT 91, Section 13,Bandar Petaling Jaya, District Petaling, State of Selangor.